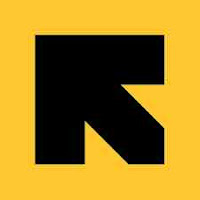 The International Rescue Committee (IRC) is an International Nongovernmental Organization that responds to the world’s worst humanitarian crises and helps people to survive and rebuild their lives. In Tanzania, IRC is supporting refugee program in Kigoma Region. IRC is providing services in Nyarugusu, Nduta and Mtendeli refugee camps in Kasulu, Kibondo and Kakonko Districts and at the Transit Centre. Currently, IRC is supporting refugees and asylum seekers with health care management and treatment, education, child protection, Youth and Development, community-based rehabilitation and care for people with special needs, Gender-Based Violence prevention and support. • Certificates: to be issued to all participants signed by both IRC and the Consultant/representative of the consultant firm.